Tensions between Vietnam and China over competing claims in the South China Sea took an unexpected turn on July 29 when Chinese hacker group China 1937CN Team took over the announcement screen systems at both Hanoi’s Noi Bai International Airport and Tan Son Nhat International Airport in Ho Chi Minh City. 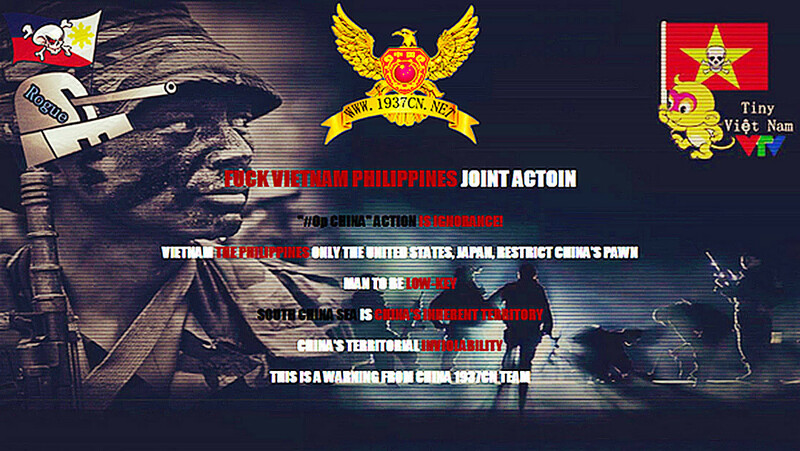 The hackers displayed “offensive messages” regarding Vietnam and the Philippines on information screens at both airports. The China 1937CN Team also hijacked the PA systems and broadcast pro-China messages in English for roughly four minutes before authorities realised what was happening. The attack delayed over 100 flights throughout the country as airlines had to switch to manual check-in procedures. The major hubs in Hanoi and HCMC weren’t the only victims of the China 1937CN Team attack. Smaller airports in Da Nang and Phu Quoc also experienced glitches, though their announcement screens remained normal. 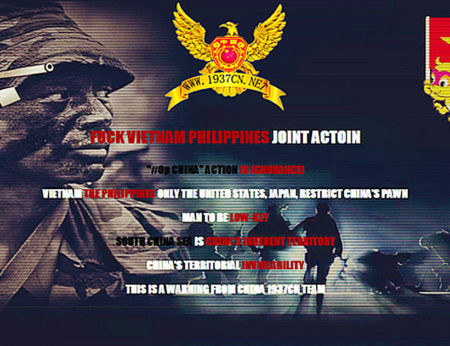 While embarrassing for Vietnamese officials, the defacements also served as a public diversion away from a more serious cyber-crime occurring elsewhere in the country. The website of national flag carrier Vietnam Airlines was also compromised and displayed a pro-Chinese messages, while poor site security is believed to have been responsible for enabling the China 1937CN Team to steal the personal data of some 411,000 VIP members which was later published on the internet. A media release by the airlines advised its members to change their account passwords as soon as the network system had recovered. Officials quickly pointed out that the safety and security systems of the airports remained intact. All airports and the Vietnam Airlines website resumed normal operations within two hours. Promotional video by Chinese hackers 1937CN Team. The timing of the China 1937CN Team hack, described by deputy minister of transport Nguyet Nhat as the biggest cyberspace attack raid ever seen in Vietnam, is certainly not a coincidence. On July 12 the Permanent Court of Arbitration (PCA), an international tribunal in The Hague, ruled in favour of the Philippines in a dispute against China. 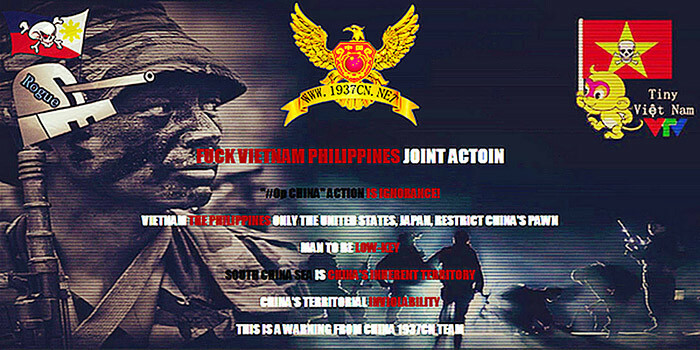 The Philippines, along with Vietnam and several other countries, argues that China has no right to the vast area of the South China Sea which it currently claims. The ruling was a major blow to China’s ambitions in the area, and it has strongly rejected the decision. The China 1937CN Team attack also came a few days after a Chinese visitor claimed that a Vietnamese customs officer wrote a vulgar word on two of her passport pages. It is unclear whether this actually happened. Nonetheless, it highlights the antagonism people in both countries feel towards each other. This high-profile attack revealed the uncomfortable truth that Vietnam relies heavily on Chinese technology. At a recent press conference, Minister and Chairman of the Government Office Mai Tien Dung and Minister of Information and Communications Truong Minh Tuan discussed the issue. Minister Tuan admitted to the use of Chinese technology throughout the country. He even said that no equipment could be fully trusted. The ministers also announced that authorities would inspect all major systems to ensure their stability. Meanwhile, officials asked organisations to double-check their compliance with information security regulations. They advised IT teams to follow the guidance of the Vietnam Computer Emergency Response Team (VNCERT) and report any problems. VNCERT also asked all ministries and information and communication departments to deploy preventive measures and create response plans in case of a hack. While Vietnam’s airports have returned to normal the episode is unsettling. The fact that major systems can be penetrated with relative ease does not bode well for the country’s network security. Concerns over conflict in the South China Sea generally focus on the possibility of armed warfare. However, this China 1937CN Team hack introduces an entirely new aspect to the feud. Given the heated official rhetoric over the tribunal ruling, it’s likely that we haven’t seen the last of such attacks.